When Beth and Dave Markowitz’s oldest son finished preschool, they realized that they wanted a new way to explore Jewish culture and traditions as a family. After doing some networking and searching, they landed on My Tribe. My Tribe is a nine month-long experiential, opportunity for families and communities to come together with others who want to explore fun, meaningful ways to tap into the rhythm of the Jewish calendar and experiences. While many of us aspire to change the world and do so in many ways, there are those who go above and beyond to make a lasting impact on the lives of others. Every other year, the Baltimore Jewish Hall of Fame (HOF) honors up to 10 exceptional Jewish Baltimoreans who have made significant contributions to the local and global community through their life’s work in fields such as science, education, business, medicine, law, politics, community service, sports and the arts. 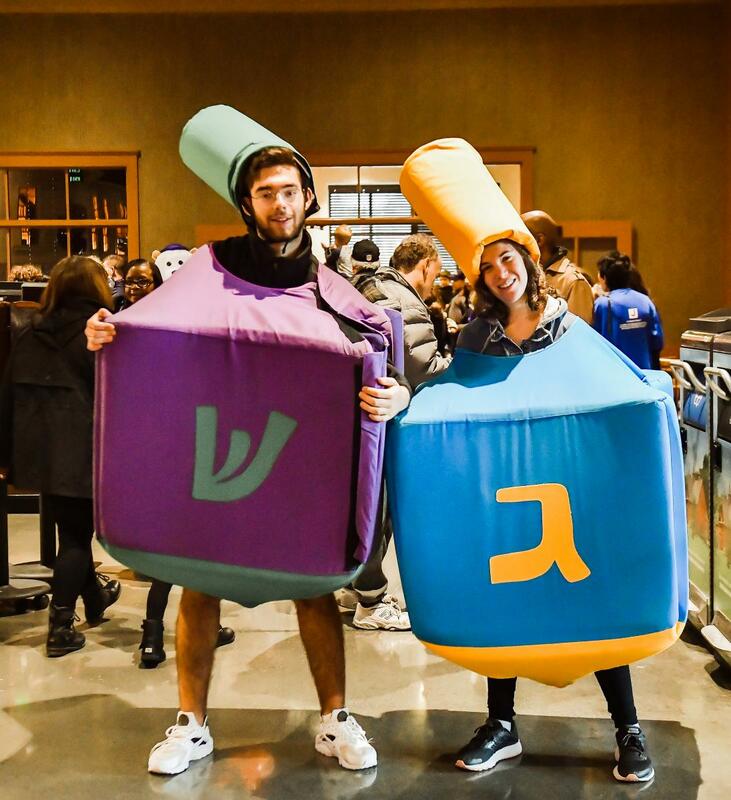 The JCC of Greater Baltimore is thrilled to have two Israeli high school graduate-emissaries on its team this year -- Shani Kalmanovich and Bar Ling. Shani and Bar work at the JCC three days a week as part of an expanded “Shinshinim” program sponsored by the Jewish Agency of Israel, funded in part through The Associated: Jewish Community Federation of Baltimore and locally facilitated by The Louise D. & Morton J. Macks Center for Jewish Education. (Shinshinim stands for Shnat Sherut, which translates to a year of service in Hebrew). Educating Baltimoreans about the prevention and treatment of heart disease is the main goal behind a new innovative collaborative initiative between LifeBridge Health (LBH) and The American Heart Association (AHA) called #StrongerHearts. “This dynamic partnership between LifeBridge Health and the American Heart Association is already translating into new resources and programs designed to help JCC members enhance or improve their cardiovascular health,” says Barak Hermann, CEO of the JCC of Greater Baltimore. “Strong is the new skinny” is Robyn Korobkin’s motto. She handed out magnets with the slogan to her students at a 6:00am BODYPUMP class to remind them that feeling good and healthy is more important than clothing size or body weight. 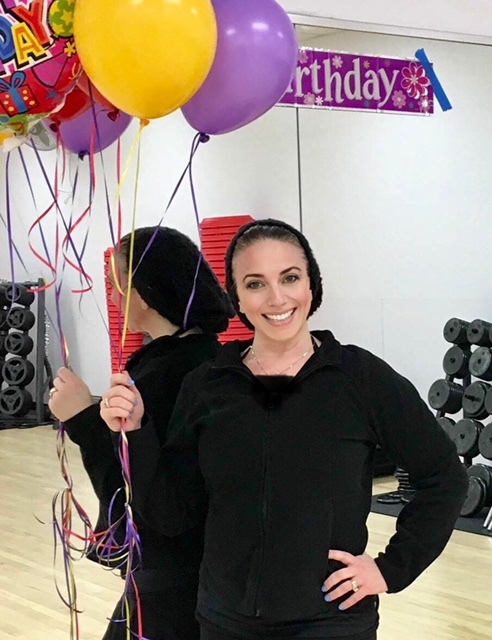 In addition to BODYPUMP, Robyn teaches BODYFLOW and SH’BAM at the Weinberg Park Heights JCC where she’s been leading group fitness classes since 2009. When Michael Feinstein moved to California at the age of 20, he went to a psychic to receive some life’s direction. A waiter at a piano bar where he was playing had suggested he do so. The psychic told him that in the future he’d be singing music and be known as much for the way he “set up” songs, in addition to the way he’d be singing them. That’s exactly what Feinstein is doing today. Feinstein’s breakthrough performance came together in the spring of 1985 when, by default, he was offered a gig at San Francisco’s Plush Room, a venue for jazz and cabaret artists. Internationally-acclaimed dancer and choreographer Roni Koresh and his troupe of dancers perform at The Gordon Center February 16. Roni Koresh started dancing with his mother as a child, and was eventually discovered dancing at parties. “I fell in love with dance; it gave me an identity, defined me differently than most people,” Roni said as he and his troupe prepare for their visit. Roni was encouraged by many to pursue dance professionally, and it quickly became not only a career path, but a true passion.